Show the mom in your life you're thinking about her on the holiday commemorating her achievements as a matriarch. 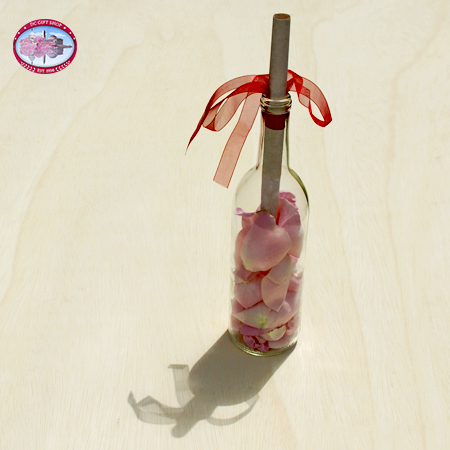 Our Mother's Day Message in a Bottle is a glass bottle filled with real long-stem pink rose petals and a sheet of parchment paper upon which is printed a customizable personal message and tied off with a sheer red ribbon. Give something totally original to the mother who has given you so much over the years. Use our Mother's Day Poem or create your own personalized message in the comment field during your checkout. You are always there to bring peace to my heart.